What you need to know in these last few weeks to help you prepare for the Jamboree. Important deadlines and competition news below. Jamboree Updates: Event Schedule Now Available! 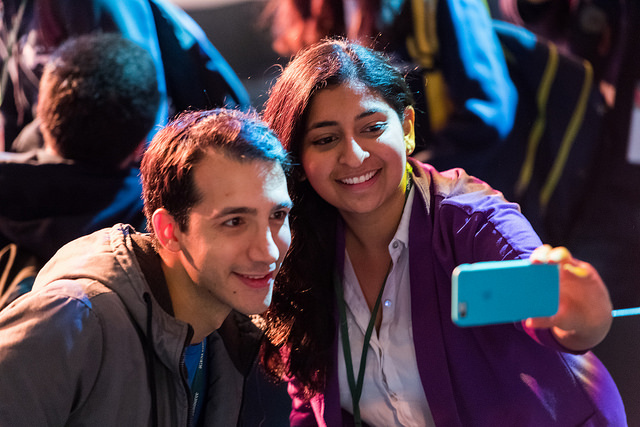 iGEM is on a mission to get to know YOU and your team better. 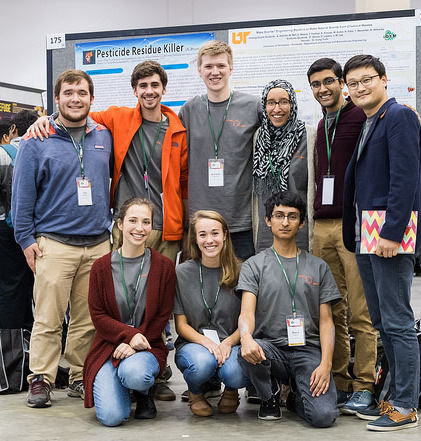 By understanding how YOU work, YOUR challenges, YOUR needs, and YOUR objectives, you can help us make the iGEM experience better for both your team and future teams. Instead of sending out one big survey, this year we split them apart to make them shorter and easier for you to take at your convenience. We ask all iGEM teams to participate to help us learn more about iGEM 2017. Help us understand your project needs so that we can better provide you with the best tools in the future. Please answer this short survey with questions about software, technologies, DNA synthesis, and assembly. This year, we included a Safety Insert in the Distribution Kit. We are asking each team to complete this brief survey about the insert. Please only submit on answer per team. The Jamboree is 8 weeks away! Take note the the upcoming deadlines and key deliverables leading up to the Jamboree. Visit the calendar for more details. October 13: Exhibitor Space sign up deadline. Do you have a device or product you made for the iGEM competition that you want displayed at the Jamboree? Sign up this date for the chance to be given this additional exhibitor space. Ask the experts! 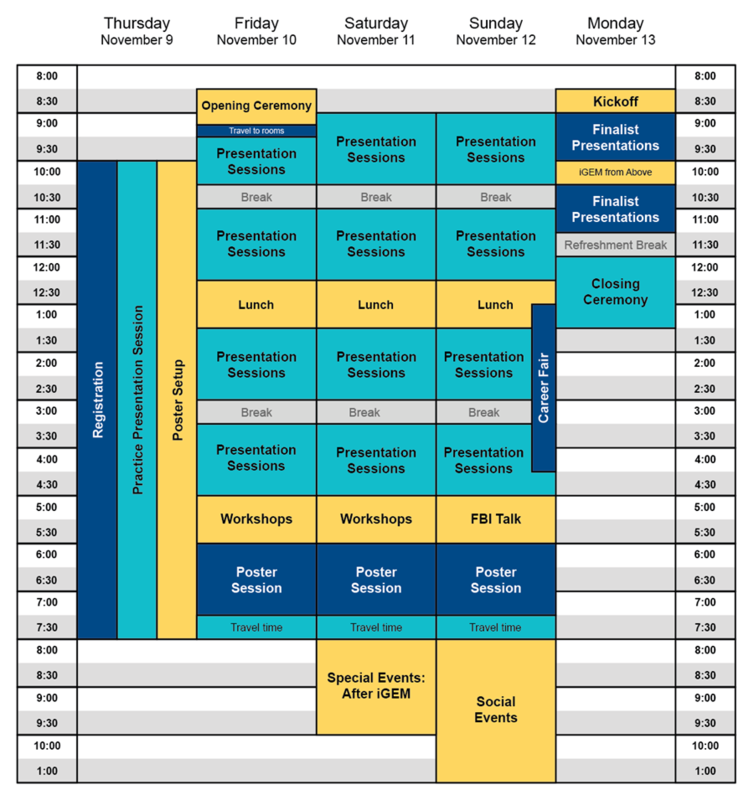 Have you used any of iGEM's Partner Special Offers and need help with your project? Ask the experts! Visit the Offers page and get connected with experts in modeling, cloning, and more! Have a fun team video displaying your iGEM spirt? This fun expression of your team personality and enthusiasm could be on full display at the Giant Jamboree. Send your video file to hq AT igem DOT org before November 3rd. You may see yourselves up on the big screen, so please be aware of your sound and image quality. iGEM is proud to recognize our iGEM 2017 Sponsors. 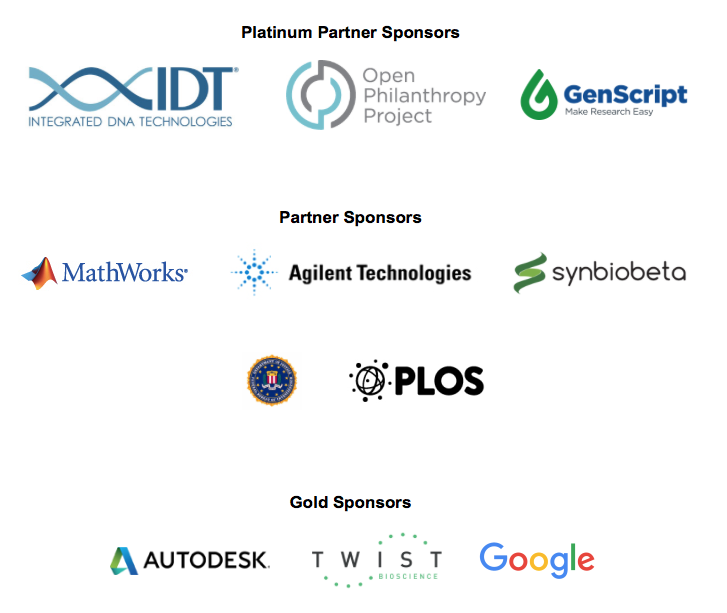 Welcome Autodesk, Twist Bioscience and Google as Gold Level sponsors of iGEM 2017.